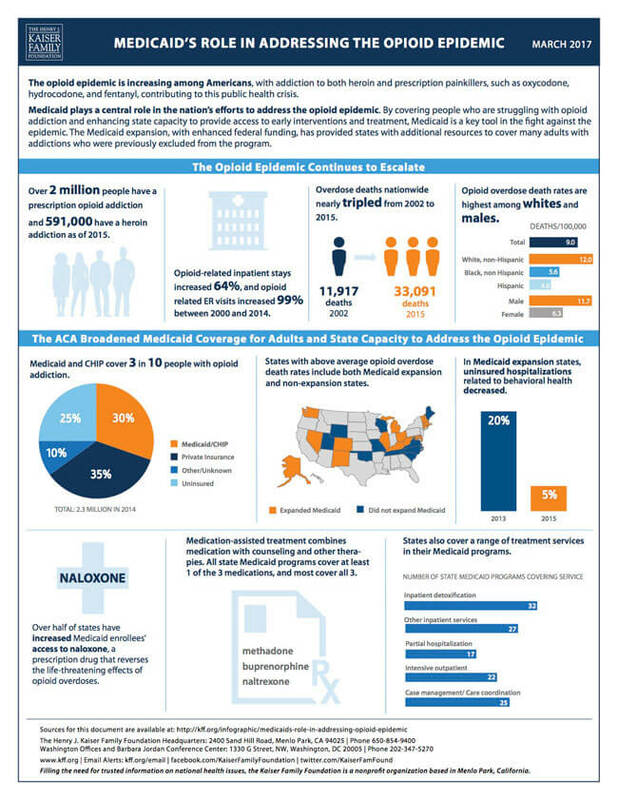 Earlier in the year, CNSI’s Chief Strategy Officer, Sharif Hussein, wrote an article about how predictive analytics can help solve the growing opioid epidemic—specifically in Medicaid population. Turns out, we aren’t the only ones looking at the data behind these drug-related deaths. An infographic published by The Henry J. Kaiser Family Foundation is chockfull of numbers that demonstrate the severity of the issue as well as how Medicaid coverage can help. Look below or read here for more information.